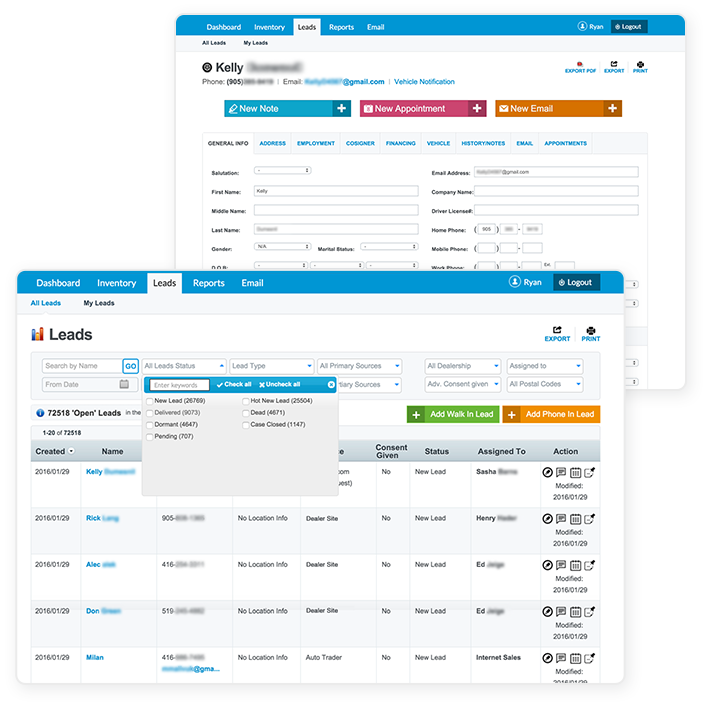 Lead manager is the easiest way to track Online, Walk-in, and Phone- up lead sources. Build custom reports and export in Excel. Distribute leads to sales staff and track interaction. With multiple permission levels, sales managers can determine sales access levels.